Like we’ve said so many times before, no two whale watching trips are alike, making them wonderfully exciting and unpredictable. The truth is, that some people are just luckier than others when it comes to sightings. Sometimes whales are clearly on a mission to get somewhere fast. Moving swiftly through the water, they don’t surface that often to breathe, nor do they treat whale watchers to any above-the-surface behaviour. Other times we encounter whales that are clearly very wary of boats and will go out of their way to avoid one. And then, there are those times when whales display an engaging curiosity, and will actually approach the vessel for a closer look. This cetacean behaviour is known as “whale mugging” – an all-purpose term marine biologists use to describe whales that choose to swim within close proximity of a boat. While a permitted whale watching boat may not approach a whale to within 50m, strict regulations prevent skippers from moving away in these particular instances, and they are required to stay put until these whale “muggers” decide to swim away. Sometimes they stay for a minute or so, while other times they linger much longer, circling the boat and spending a considerable amount of time just hanging around. It is very clear during these thrilling encounters that the whales are relaxed and show no signs of stress whatsoever. Sometimes during these ‘muggings’ they engage in another form of behaviour called “spy hopping”, which is when a whale slowly lifts its head out of the water. With its eyes above the waterline they are able to see what’s happening above the surface, literally checking out the scene around them. Occasionally, a female humpback will mug a boat in an effort to avoid an unwanted suitor, using the boat as a shield between her and a persistent male. Along with ‘breaching’, ‘tail slapping’ and ‘sailing’, whale mugging is very exciting, providing guests with a genuine connection with these sentient creatures. 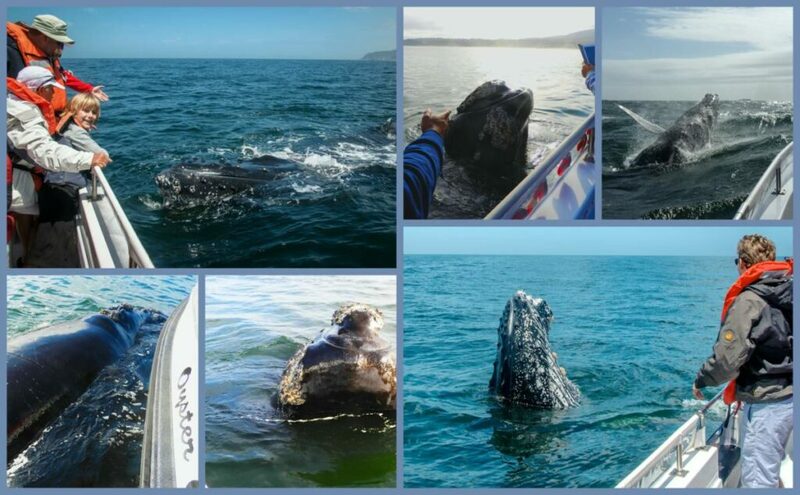 This year we have been blessed with many a curious whale, and such close encounters make for an unforgettable experience.